Amazon CEO Jeff Bezos just invested millions in Henry Blodget’s Business Insider. And look what he got in return! Free investor relations help. I don’t know why Bezos didn’t want to identify Blodget as “the industry observer” by name. But you can’t accuse him of quoting Blodget out of context. Here’s the title of the post Bezos is citing: “Just The Latest Example Of Why Amazon Is One Of The Most Successful Companies In The World,” which Blodget posted on Dec. 9, 2012, presumably as he was finishing up his negotiations with Bezos (and researching another post). You also can’t accuse Blodget of praising Bezos solely to help secure an investment in his website (where I am also an investor, but much, much farther down the cap table). 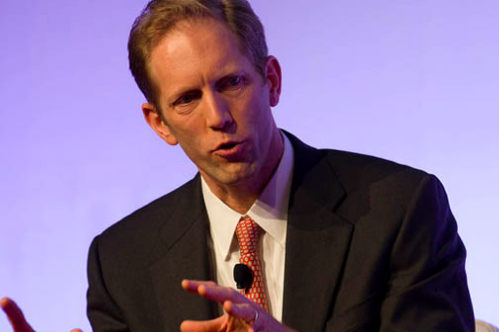 Blodget has famously been an Amazon bull for a long, long time. And I’m reasonably sure that Bezos didn’t consult Blodget before he wrote today’s letter: Via IM, I just asked Blodget if he’d seen Bezos’s letter.